Harry Potter scribe J.K. Rowling has created an entire wizarding world that has sparked the imaginations of millions across the globe for years now. Her accomplishments have made her a very rich and powerful person, but that doesn't mean she lives without regret. In fact, Rowling has a full-on annual tradition of apologizing for at least one thing she did in her seven-part book saga — chiefly, killing off any number of fan-favorite characters and leaving fans heartbroken. On top of that, she has also expressed some remorse for certain misunderstandings about her stories and, in some cases, even put pen to paper to correct those misgivings before the series was finished. There's also at least one character coupling that she wishes she'd written differently and one fan theory that really bummed her out. Let's take a look at the things J.K. Rowling is most sorry about with her Harry Potter series. 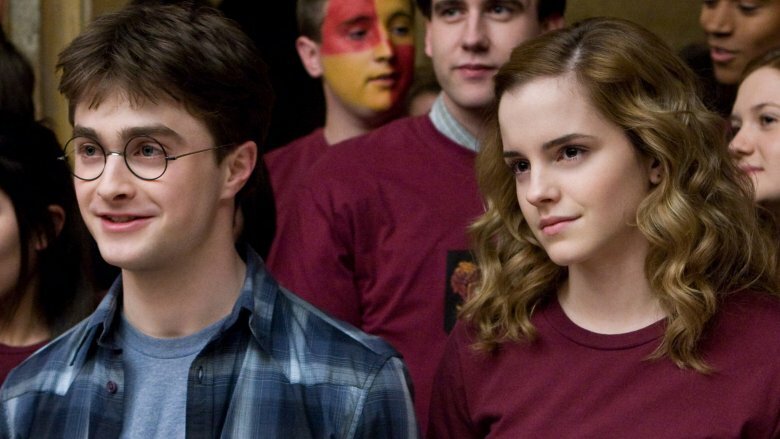 The decision to pair Ron Weasley with Hermione Granger was a strange one, indeed. Ron, the goofy sidekick, had almost nothing in common with Hermione, whereas Harry always recognized her status as the secret MVP if not true leader of the trio. Sure, Ron had a few moments of bravery, and there was that tenuous connection with her being a muggle and his dad having a fascination with the non-wizarding world, but please. Even J.K. Rowling knew that Hermione and Harry were the real endgame of the series. In an interview with The Sunday Times, Rowling admitted, "I wrote the Hermione/Ron relationship as a form of wish fulfillment. That's how it was conceived, really. For reasons that have very little to do with literature and far more to do with me clinging to the plot as I first imagined it, Hermione ended up with Ron." She added, "I know, I'm sorry, I can hear the rage and fury it might cause some fans, but if I'm absolutely honest, distance has given me perspective on that. It was a choice I made for very personal reasons, not for reasons of credibility." Perhaps the personal reason she's alluding to here is the fact that Ron Weasley was based on a close childhood friend of hers, while Hermione was based in part upon herself. 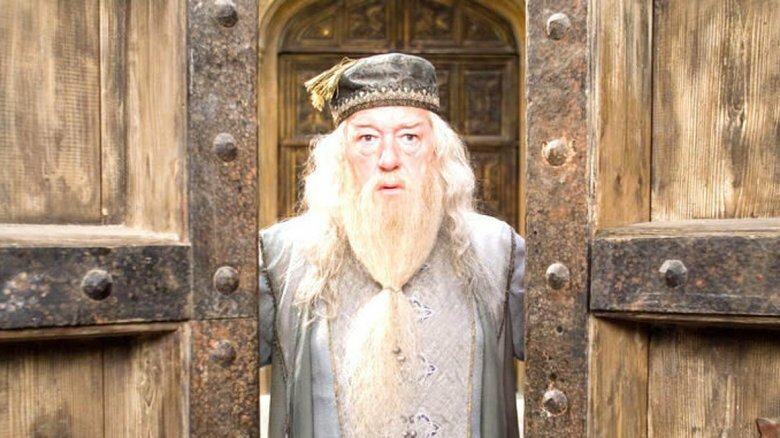 In 2007, J.K. Rowling revealed that even if it wasn't completely spelled out in her books, Hogwarts headmaster Albus Dumbledore was meant to be a gay character. During a reading of her final installment, Harry Potter and the Deathly Hallows, she answered a fan question as to whether Dumbledore had ever fallen in love, saying, "Dumbledore is gay, actually." When the news was received warmly by the crowd, she expressed a bit of regret that she hadn't been more clear about that before, saying, "I would have told you earlier if I knew it would make you so happy." The matter would become a point of contention later on, however, when Dumbledore's sexuality was again left ambiguous in 2018's Fantastic Beasts: The Crimes of Grindelwald, the sequel to the first spinoff film she penned, Fantastic Beasts and Where to Find Them. LGBTQ advocates were dismayed when director David Yates revealed that the film would "not explicitly" address his homosexuality. Although Rowling still openly defended her decision to make Dumbledore gay, she chose to ignore those who criticized the film's lack of attention that detail. For the sequel, Yates maintained that they would finally make Dumbledore's romantic history with Gellert Grindelwald a little more obvious on-screen. But that was news to Jude Law, the actor portraying the young version of the headmaster. Rowling fielded more disappointment over the fact that the cast for Fantastic Beasts was predominantly white. Producer David Heyman defended the film's casting by explaining that the story's timeline had a lot to do with the cast's whiteness, pointing out to Entertainment Weekly that 1920s era New York was segregated. He added that "the wizarding world is a much more open and tolerant society where people of color and different ethnic backgrounds exist harmoniously together" and that the series would have "people of color filling this world in an organic way." Rowling, meanwhile, simply denied that the cast was all-white on Twitter and challenged a fan to "wait until you see the movie to judge," adding, "It is a trilogy and all the characters have not been revealed or cast yet." The author faced further Fantastic Beasts backlash when the character of Nagini, Voldemort's pet snake from the original series, was introduced in human form as a maledictus, played by South Korean actress Claudia Kim. Rowling was accused of fabricating diversity with the decision, which she fought back against by presenting supporting lore. Still, as many suspected, the character came through as something of a token in the movie. All of this comes on top of other long-running Potter franchise controversies, like the issue of Jewish representation and interpretations of Hermione's race. With all of these discussions at hand, she'd probably approach the diversity of her characters differently if given the chance. 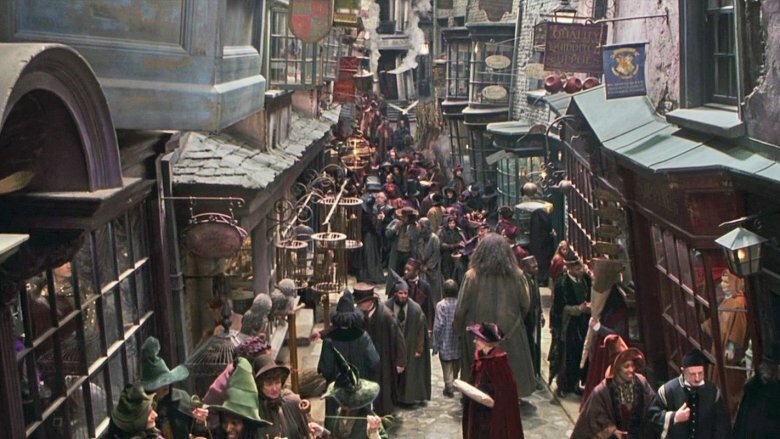 Even die-hard Harry Potter fans can be forgiven for not remembering the name Florean Fortescue, the Diagon Alley ice cream shoppe owner who gave Harry a few scoops and then disappeared without explanation. Rowling later revealed that he died after being kidnapped, but if she had done what she originally intended to with the character, he would've been a much more memorable part of the story. She later wrote on Pottermore (via The Mary Sue) that the character was meant to be a descendant of Hogwarts' former Headmaster Dexter Fortescue. "I originally planned Florean to be the conduit for clues that I needed to give Harry during his quest for the Hallows," Rowling revealed. She intended him to have all kinds of information about the Elder Wand and diadem of Ravenclaw, but ended up writing him out of the story upon finding that he was "redundant" because of Phineas Nigellus Black and the Grey Lady. Still, she was sad to see him go. "All in all, I seemed to have had him kidnapped and killed for no reason," Rowling wrote. "He is not the first wizard whom Voldemort murdered because he knew too much (or too little), but he is the only one I feel guilty about, because it was all my fault." 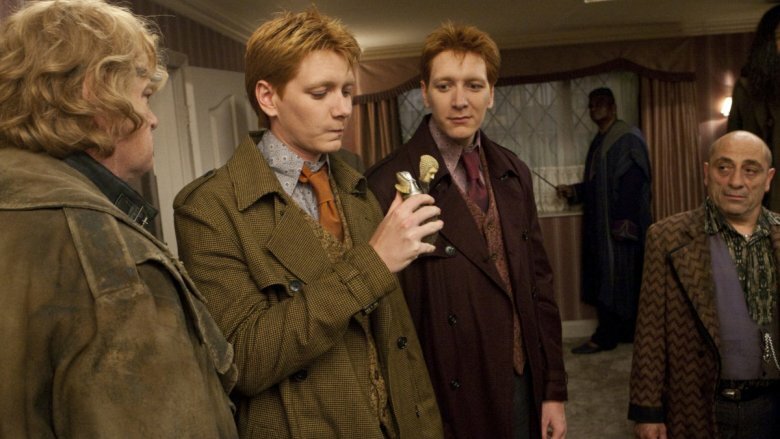 There were plenty of characters who died in Harry Potter and the Deathly Hallows, but one of the offings that hurt the most was Fred Weasley, Ron's elder brother, who was killed in an explosion at the Battle of Hogwarts. Fred had become a fan favorite, alongside his twin brother George, thanks to his signature cheery and silly demeanor — his wits even helped to bring down Dolores Umbridge with a massive prank that bolstered the resistance with a reminder of happier days. His death would be devastating enough, but the way it was described on the page was positively brutal. "Percy was shaking his brother, and Ron was kneeling beside them, and Fred's eyes stared without seeing, the ghost of his last laugh still etched upon his face," Rowling wrote in the book. She would later apologize to fans for claiming the fictional life of a character who was so beloved by readers. In 2015, she tweeted, "Today I would just like to say: I'm really sorry about Fred. *Bows head in acceptance of your reasonable ire. *"
In 2016, Rowling returned to her tradition of apologizing for a character's authorial execution. This time, she shone the spotlight (er, moonlight) on Remus Lupin, the Defense Against the Dark Arts professor who turned out to be a werewolf. 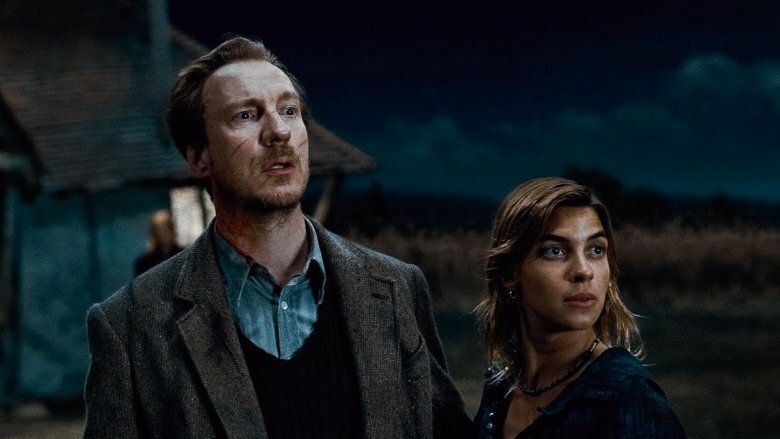 It wasn't just that Remus' death was sad; he also died shortly after his wife Nymphadora Tonks was killed, which meant that their newborn son Teddy lost both his parents before he had a chance to know them, just like Harry Potter had so many years before. Rowling issued a series of tweets apologizing and explaining the need for Remus Lupin's death, writing, "In the interests of total honesty I'd also like to confess that I didn't decide to kill Lupin until I wrote Order of the Phoenix. Arthur lived, so Lupin had to die. I'm sorry. I didn't enjoy doing it. The only time my editor ever saw me cry was over the fate of Teddy." To orphan one little wizard baby? Cruel. Two of them? Diabolical. Whether or not Professor Severus Snape actually redeemed himself is up for debate. Sure, he was secretly working for the good guys all along and only killed Dumbledore so that Draco Malfoy wouldn't have to. Oh, and that torch he carried for Lily Potter all those years? He never dropped that, not once. Even so, he was pretty terrible to Harry from the very start of his tenure at Hogwarts. Assuming he even was trying to teach Potter to toughen up so that he could be ready for his fateful confrontation with Lord Voldemort, some of that was him projecting pure acrimony for James onto the Boy Who Lived. The split opinion on Snape meant that a good chunk of the Harry Potter fandom would never need Rowling to apologize for his death. Others might, though, which is why her 2017 commemoration of the Battle of Hogwarts was a little more timid than usual. She tweeted, "OK, here it is. 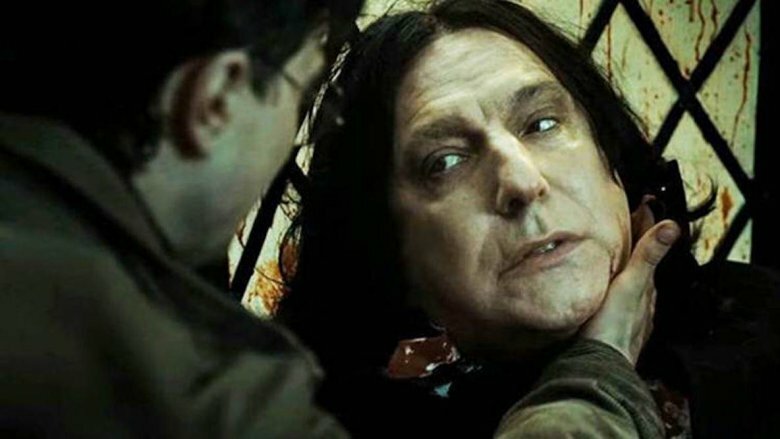 Please don't start flame wars over it, but this year I'd like to apologise for killing (whispers)… Snape. *runs for cover. *" It's almost like she was apologizing for even apologizing. 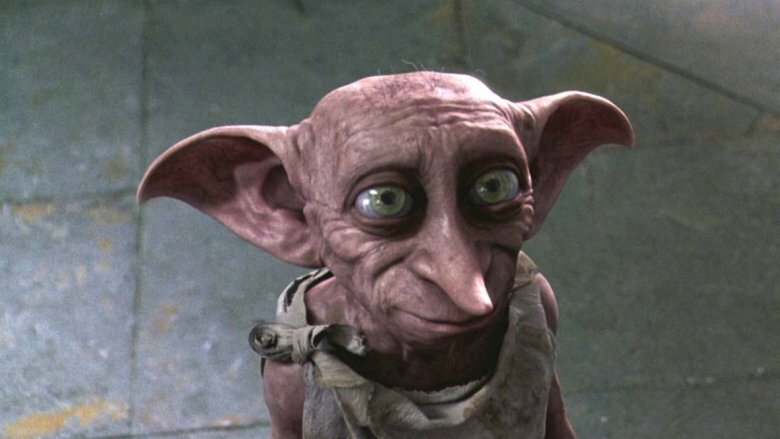 One character that J.K. Rowling managed to completely redeem by the time the Harry Potter series ended was Dobby the House Elf. When we first met him, he was a completely annoying pest who threatened to get Harry in trouble with the Dursleys. By the end of the road, he was a sweet little scamp who just wanted to be free so that he could define his own loyalties. While trying to rescue Harry and Griphook from the Death Eaters, Dobby was stabbed by Bellatrix Lestrange, and yet, he still managed to save the two before perishing. To make the scene even more gutting, Harry dug his grave by hand and inscribed it with the words, "Here lies Dobby, a free elf." Gulp. Rowling memorialized him in her 2018 tribute, despite the fact that he wasn't a part of the legendary final battle, writing, "It's that anniversary again. This year, I apologise for killing someone who didn't die during the #BattleofHogwarts, but who laid down his life to save the people who'd win it. I refer, of course, to Dobby the house elf." Another lamentation J.K. Rowling has about the Harry Potter series is how certain characters' names are so commonly mispronounced. With Hermione Granger, for example, Rowling had to pretty much spell it out in the text once she discovered that fans were saying her name incorrectly. Rowling has admitted that the scene from Harry Potter and the Goblet of Fire in which Hermione tells Viktor Krum to call her "her-my-oh-nee" instead of "hermy-own" was also meant to be instructional for readers, since the films hadn't come out yet. 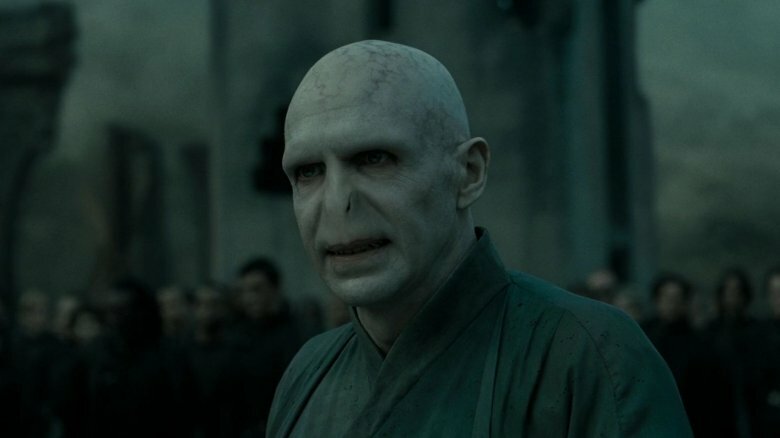 One name pronunciation that she never did quite correct, however, was Lord Voldemort, whose moniker most fans think is "vawl-duh-MORT." Even the films adapted that bit of elocution. However, if Rowling had her way, fans would never say the "T" in his name at all. In 2015, she confirmed that fun fact about the series, conceding, "I'm pretty sure I'm the only person who pronounces it that way." Perhaps her sheer frustration was why the character was so often referred to as "You Know Who" or "He Who Shall Not Be Named." What's in a dog breed? A specific regret J.K. Rowling has copped to is the particular type of dog bred by the nasty Aunt Marge. 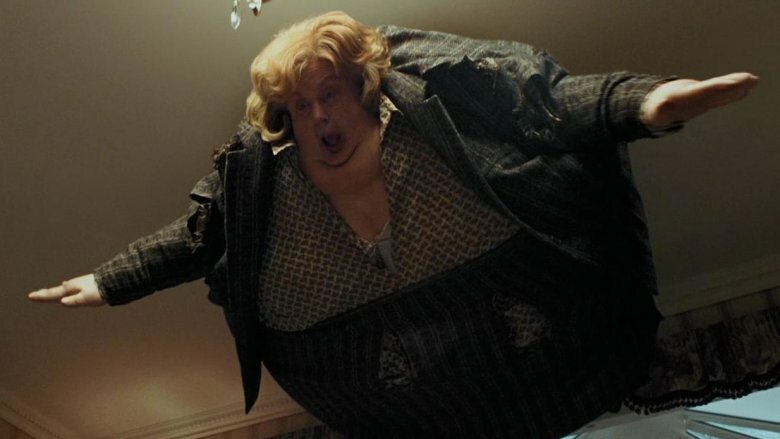 In Harry Potter and the Prisoner of Azkaban, Harry was introduced to Uncle Vernon's sister, who often used canine-related theories and phrases to analyze people — most notably, insulting Harry (and his late mother) by saying, "If there is something wrong with the b***h, there'll be something wrong with the pup." Clearly, her relationship with her dogs was significant to her character development. However, Rowling later said she should not have chosen bulldogs as her breed after all. "I regret making Aunt Marge a breeder of bulldogs, as I now know them to be a non-aggressive breed," she wrote on Pottermore. "My sister owns one and he's the most loveable [sic], affectionate dog you could hope to meet. On the other hand, they do look grumpy, and on appearance alone seemed to suit Aunt Marge." 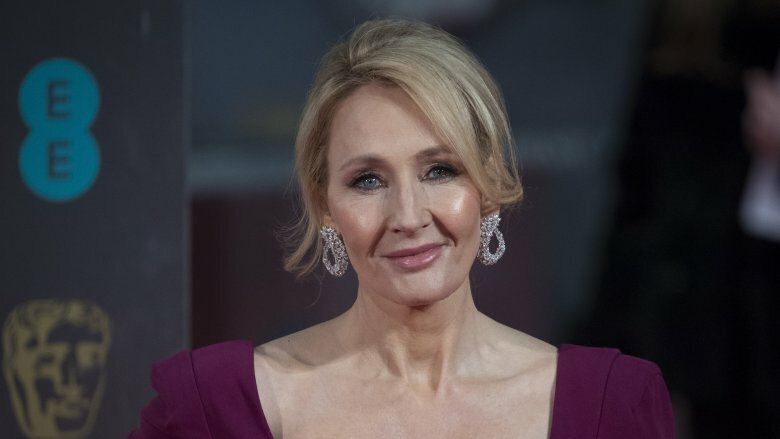 There are some Harry Potter fan theories that Rowling has shown some major support and respect for, while others have been kindly dispelled by the author as illegitimate. Usually, Rowling is polite enough about putting an idea to rest, like when she denied that Ron is a younger time-travelling Dumbledore and shut down the theory that Draco Malfoy became a werewolf after being bitten by Fenrir Greyback. 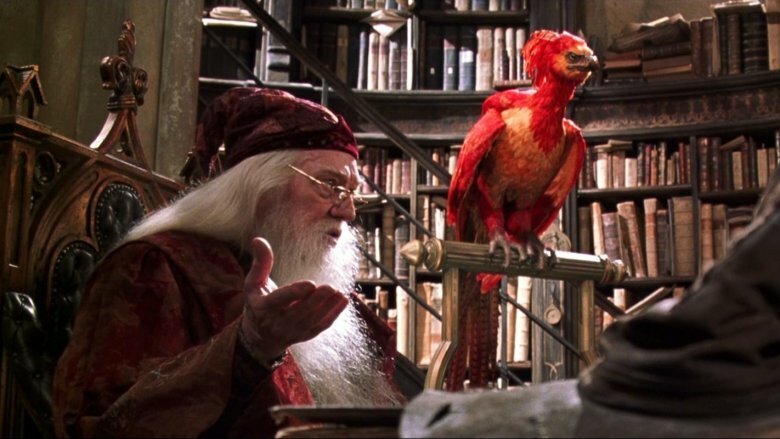 One theory that seemed to get J.K. Rowling into a tizzy, though, was the one that suggests Dumbledore may have turned his phoenix Fawkes into his own horcrux. The supporting evidence for the concept is pretty thin. Basically, the idea is that if Voldemort could store a piece of his existence in a snake, a bird wouldn't be off the table, either, and Dumbledore may not have always been the benevolent soul that we know him to be (note that his family history continues to get more twisty in the Fantastic Beasts movies). However, Rowling not only put the kibosh on the idea, but also expressed personal offense to it, writing, "The idea that anybody believes this is strangely upsetting to me." By the end of the Harry Potter series, J.K. Rowling had written a whopping 4,224 pages about her magical realm, and yet, there was still a scene that she couldn't quite squeeze into the story. She revealed in 2007 that she wanted to include a Hogwarts graduation scene in The Deathly Hallows to confirm that Hermione went back to school and finished, while Harry, Ron, Neville, and some others went straight to work trying to clean up Voldemort's mess in the wizarding world. 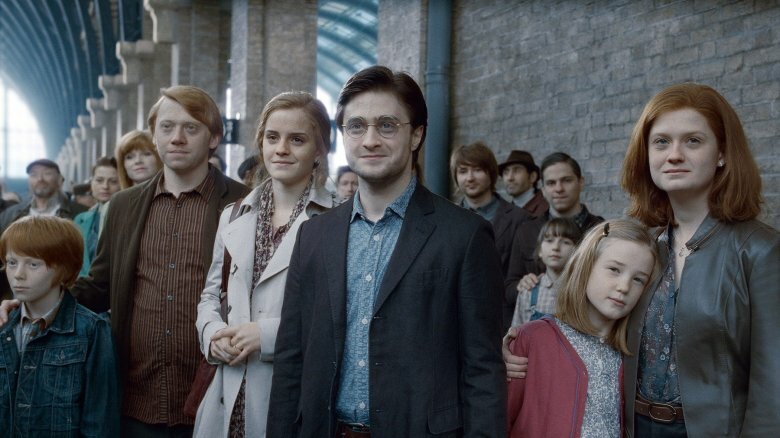 "I felt a huge sadness that I wouldn't write a graduation scene," she told fans on Pottercast. "I knew from early days that we would never see them graduate… I felt sad that the book wasn't gonna end with that Feast scene, the graduation scene. But it couldn't… It would've felt far too trite and — you know, a lot of people felt the epilogue was too sentimental, I think to have a graduation scene on top of what just happened would've been an absurd bit of anti-climax." Had the scene been included to cap off the series, fans would've seen the trio ride the thestrals away from Hogwarts to signify a fresh new start for them as they passed over the water. Alas.